I’d like to take this opportunity to thank our longest sponsor www.DeluxeWalltents.com . 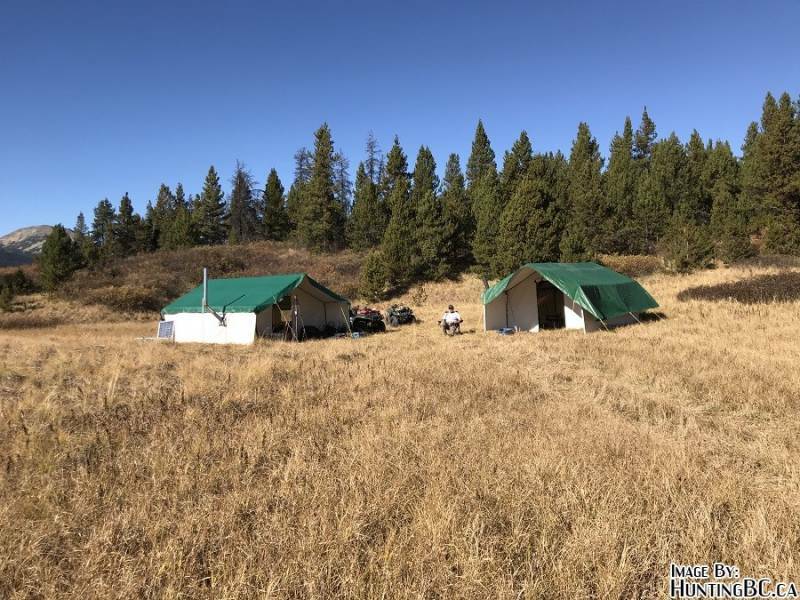 Deluxe Wall Tents was our very first sponsor to HuntingBC.ca, and continued to sponsor the site year after year. I’m extremely pleased that Deluxe Wall Tents has decided to be an sponsor and big supporter again this year. For all your Wall Tents, Aluminum Frames, Wood Stoves, Tarps, Bed Rolls, and Canvas Game Bags needs, please contact our sponsor for prices or any questions you might have. Perry is also a member on the site if you've got any questions you might want to ask about his products. Deluxe Wall Tents is BC owned and operated here on Vancouver Island. I bought a tent from Perry at Deluxe Wall Tents and couldn't be happier with his product. Quality product and quality customer service. These things are hard to find nowadays. Just got back from a trip up North and we set up two deluxe wall tents and man we were living in comfort. Our party of 4 had a 16 x 14 x 5 with porch as our main lodging for 12 days, we had tonnes of comfortable living space for the 4 of us and we could have easily slept another 2 people if required. The other tent was used as a kitchen / cook tent to keep the food smells away from our sleeping quarters in case we had visitors in the middle of the night . 100% satisfied with the quality and ease of set up of these tents. I didn't want to leave once our time was up.